Aryaka is proud to announce that CRN®, a brand of The Channel Company, has recognized our SD-WAN as a Service solution in its 2018 Cloud Partner Program Guide, a list of leading technology vendors with cloud-related partner programs that enable and accelerate the growth of solution providers’ cloud initiatives. Aryaka’s channel partners always play a pivotal role in furthering the company’s position as a market leader. Receiving this recognition from The Channel Company is a testament to our commitment to the channel and the innovative approach that Aryaka has taken with its partner program. Deployed by more than 800 global enterprises, Aryaka is the leading independent SD-WAN as a Service provider with fastest growing solution in the market today, delivering enhanced performance for cloud and on-premises applications worldwide. Aryaka’s SD-WAN as a Service delivers significantly faster commissions to partners compared to telecommunications companies due to fast deployment schedules (days, instead of months), and drives perpetuity-like revenue streams as its customer retention rates are over 98%. More than 70% of Aryaka’s customers come from its global partner program. As Aryaka continues to further expand our channel program in various regions around the world, we will focus heavily on partner training and enablement. 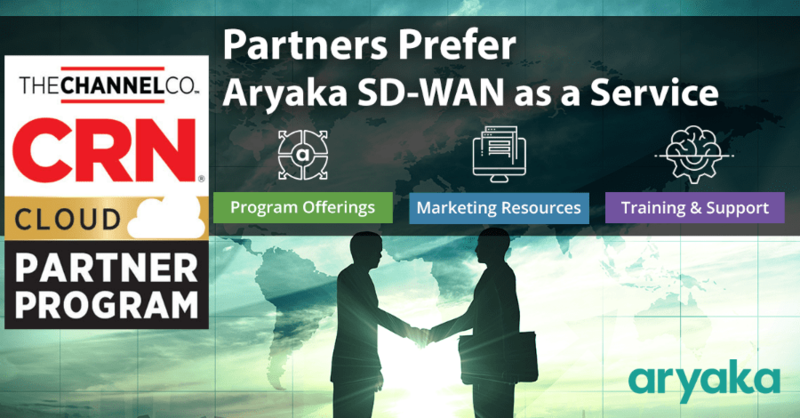 Aryaka has a very unique place within the evolving SD-WAN space, and it is our goal to continue educating our channel partners as they work to identify their customers’ global application delivery and network infrastructure needs. Earlier this year, Aryaka announced a strategic partnership with China Mobile International (CMI) to deliver the first fully compliant global SD-WAN service for international companies with locations in China, and Chinese companies with global presence. It was also named the largest pure play SD-WAN provider in Q1 2018 and is now within 1% of surpassing VMware for overall leadership in terms of market share and revenues, according to the latest industry report from IHS Markit. If you are interested in becoming an Aryaka partner today, continue here to learn more. Claudio is the Senior Vice President of Global Channels at Aryaka and is responsible for overseeing the growth and development of the channel through partner enablement. 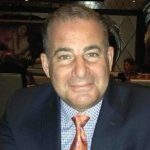 He has more than three decades of experience within the enterprise networking space, building and maintaining customer and partner relationships through various sales cycles.